This past week Denial Esports attended WESG in China to compete in the annual CS:GO tournament. They earned their position in the competition by winning the South African qualifier. It was the first event for the South Africans under their current organisation after departing Bravado Gaming. Along with that it was also the first opportunity for the altered roster to compete at a LAN event. 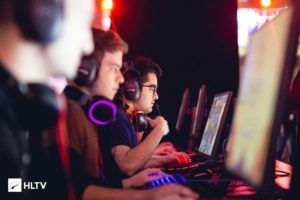 World Electronic Sports Games (WESG) host a massive event comprising of multiple esports tournaments each year. Their main feature is the massive prize pools they offer, comprising of $2,500,000 across seven different competitions. CS:GO receives the lion’s share, which is $995,000 between the male and female tournaments. Dota2 is not far behind with $850,000 distributed among the top 8 teams, with the winners taking home $500,000. The thing about WESG is that even though it has the highest prize pool in CS:GO it doesn’t attract a lot of the top tier teams. There’s a few big names like mibr, G2 and fnatic but out of the 27 teams attending the LAN finals, only five are a part of the Top 30. Of the five, one of them had two substitutes so it’s not even a fair representation. The main reason it doesn’t feature a lot of the top teams is because it requires all five players in the roster to be of the same nationality. In the modern day it has become a common trend in CS:GO and esports in general to have international rosters. 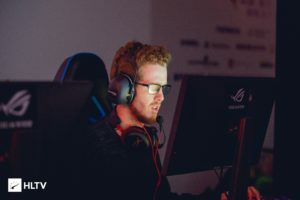 The degree of international flavour varies a lot too, from one player in the team like jkaem in Renegades or extremes like FaZe and mousesports, where all five players have different nationalities. These guys put so much time, energy and practice into their teams it’s just not worth it for them to compete in the tournament as a mix. There have been plenty pleas in the past for the WESG committee to relax their rules but so far no changes have been made. This was the first LAN event for the current group of players, not only together but also under their new organisation. The recent additions of Domsterr and blackpoisoN got their first opportunity to compete alongside their new teammates at a live event. It was always going to be a tough ask to compete at a big event three weeks after making significant roster changes. Denial Esports found themselves in a tough group. Matching up against OpTic, Valiance and NASR. Of course there was some familiarity with the Danes, who they beat as Bravado Gaming at DreamHack Winter 2018. Having said that it’s a completely different occasion this time and comparing the two isn’t reasonable. Making two changes in a roster affects practically everything in the team. Important factors like the team’s chemistry, strategies and communication will all be heavily impacted when changing two players. It will take quite some time for this team to reach their potential, time which we’re not sure there’s much of, but we’ll talk about that more a bit later. The other tough contender was Valiance, who were missing two of their core members who were eligible based on their nationality. That meant EspiranTo and ottoNd were out and replaced by emi and Impulse. Lastly in their group was a team from the UAE, NASR. It started with a best of two against OpTic to kick things off, maps being Overpass and Inferno. OpTic were out for blood and even though on Overpass Denial produced a decent first half they couldn’t get going in the second. Granted, the T side requires tons of teamwork and solid communication, attributes that take time to develop. If you can’t find momentum or map control early on in the half you’re really going to struggle, which was the case. Next was Inferno, OpTic dominated their T half going 11-4 at half time leaving Denial with an uphill battle heading into the second half. The teamwork was top drawer from the Greenwall with all five players finishing within two kills of each other by the end of the map. The next match was a do-or-die situation, against Valiance. The maps were Nuke and Inferno, the former being a strong map during their Bravado days and a map they’ve been playing a lot online with the new roster. However it didn’t work out for them this time, not finding any traction on the T side. A half time score of 14-1 left them with an impossible task heading into the second half. Keep in mind though that it wasn’t their map pick so they’d still have been upbeat and backing themselves to make it 1-1 heading into Inferno. Again Valiance started on the CT side and didn’t allow Denial to gain any momentum. Picking up only 3 rounds on the T side Denial lost the map without adding to their tally. This had solidified their elimination with a dead rubber match to go. Unfortunately leaving them short of achieving their goal heading into the event, which was to qualify for the playoffs. They did end the event on a high note however, winning their match against NASR convincingly. They beat the Middle-Eastern team 2-0 on Train and Inferno with all five players putting up decent numbers. Most notably Domsterr who went 46-17. Of course it doesn’t carry much weight as a win but it’s a good consolidation regardless. It is afterall their first scalp in a LAN event, which is always satisfying to get under your belt. In the end it was a fairytale event for one team, Windigo. The Bulgarians managed to beat all three of the favourites in the buildup to the final, where they conquered AGO 2-1. There’s certainly no discussion about them being an undeserved winner, having beaten fnatic, mibr and G2. Ranked only 30th in the world before the event, they raked in a cool $500,000 reward for winning the event. They’ve been an upcoming team producing some impressive results recently so it’s great to see them picking up some silverware at an event. HLTV interviewedblackpoisoN, which gave an interesting insight into the team. One thing for sure is there’s no shortage of motivation or hunger. I wonder if the arrival of Domsterr and blackpoisoN has increased the drive once again of the other members in the team. They’ve been playing overseas for sometime now and perhaps the context of what they’re doing has somewhat been normalised. Not to say they’ve at all lost their motivation to compete at the highest level, more about the that fire and desire coming from two budding individuals. 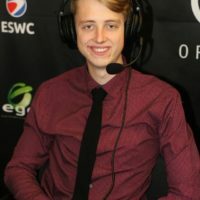 Going back to my point about not knowing how much time this team will be together for; in blackpoisoN’s interview he mentioned that he’s not actually sure when the trial for himself and Domsterr ends. Previously it was said that their trial would end after WESG, which has now culminated. So I’d expect to see something soon on what their future holds. I for one, think they’ll need more time to make a fair assessment and would like to see these five stick together. There’s some downtime now as they’ve already completed their ESEA MDL season narrowly missing out on playoffs. This means they’ll have an ample amount of time to figure everything out. As I mentioned I think this squad has a ton of potential that’ll need time to unlock. If they’re able to tap into the goldmine I think they have some big upsets on the horizon. For now, it’s about taking it day by day and sticking to the grind.